Planned as the capital after Botswana gained independence in the 1960s, Gaborone quickly transformed into a bustling city and the country's commercial center. Today, a trip to Gaborone gives you the opportunity to enjoy the young city's safe and modern amenities while exploring the region's sights. 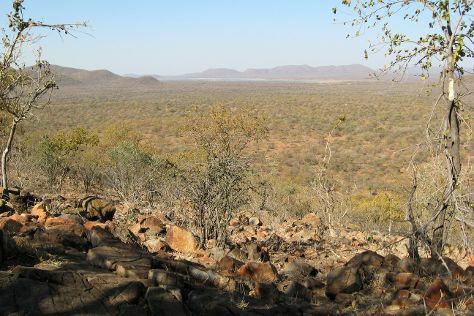 In spite of the lack of historic attractions, you'll have plenty of places to visit in Gaborone, including well-stocked museums, nearby hiking trails and villages, and the city's wildlife-rich game reserve. Enjoy the urban panorama from Kgale Hill, sample a variety of local and international dishes, or take advantage of the many shopping opportunities that Gaborone has to offer. Gaborone is in South-East District. Add Gaborone and other destinations in Botswana to your travel plans using our Botswana itinerary maker tool . Gaborone boasts a wide range of lodging options and locations: many cater to business travelers, while some lodges and campsites in the rural surroundings suit the budget-conscious tourist. Mid-range inns and guesthouses abound, offering varying ranges of prices, styles, and quality. If you're looking to spend, chain establishments and upscale business hotels offer luxury facilities, such as on-site bars and restaurants, gyms, pools, and spas. For a longer stay, consider renting a serviced apartment in town.